Luke and his team gave me a warm welcome on site and a comprehensive introduction to the work they’ve been doing there over the last three seasons as part of the Kent-Berlin Ostia Project. 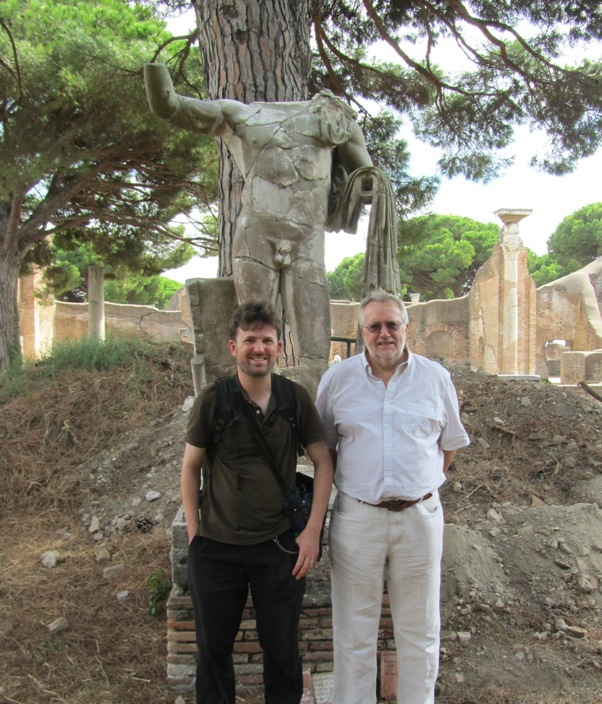 I was surprised by the extent and number of public spaces in Ostia they’ve been working on during this time but even more so by the ambitious reinterpretation of the history of late antique Ostia (and, by extension/analogy, of other imperial cities) that their excavations, alongside a team from the Humboldt University, are leading them to formulate. This is a fascinating project, even to a non “late antichista” like myself, and it must be very exciting for our University of Kent students as well as for the other students and helpers from around the world to be involved in it, to handle the finds and to show them off to the tourists and others that the students guide round the dig.